GREAT BAY — The Guyanese St. Maarten/St. Martin Association has elected Velda Blackett, a teacher at the St. Maarten Academy, to lead the organization for the next year. The school teacher who has been with the organization for some time has received the nod from the membership with 22 votes. The association has about 60 eligible voters who are financial members but only 24 turned out for the elections which is approximately 40%. It was remarked that the voter turned out just like the island elections which was recently held. There were three candidates who had postulated themselves for the presidency but just before the voting began one of the candidates, Maureen Fortune, who was the former vice president of the organization declined to contest the elections. Although she was present apparently but did not offer any explanation or participated in it. Several members who did not turn out for the elections were said to be absent because of work which resulted in the low voter turn-out. The installation of the board of directors is scheduled for Wednesday upcoming at the association building on Back Street. 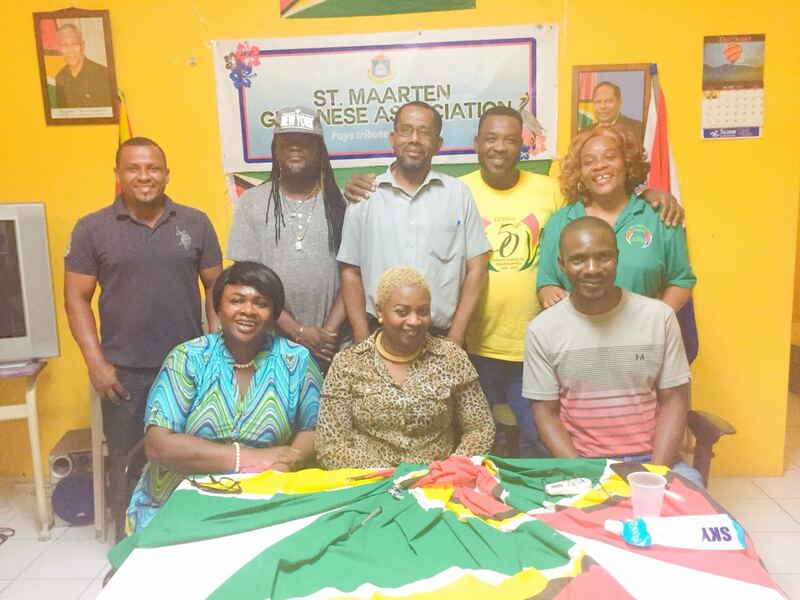 Photo caption: The newly elected board of the St. Maarten Guyanese Association. Photo by Andrew Bishop.